Every day, more than 90 Americans die from opioid or painkiller overdose. 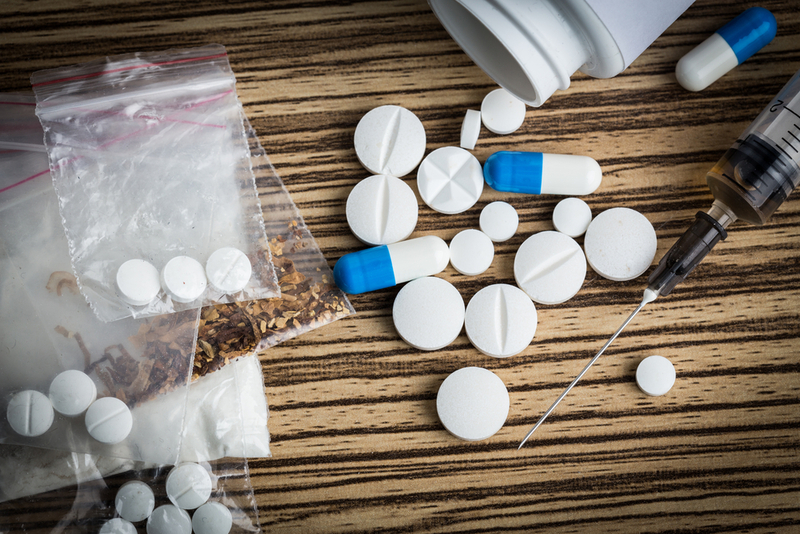 The abuse of opioids — including prescription painkillers, heroin, and synthetic opioids such as fentanyl — is a severe national crisis that affects public health, social and economic welfare. The Centers for Disease Control and Prevention estimates the total economic burden of prescription opioid misuse in the United States is $78.5 billion a year, which includes the costs of healthcare, addiction treatment, and criminal justice involvement. Working in the detox unit in West Philadelphia during one of my Psychiatry rotations, I met many patients who were prescribed opioids to cope with pain. Once their 30-day supply of “Perks” or “Oxy” ran out, many started using street drugs like heroin to satisfy their new addiction. As a result, they would end up in the hospital because of an overdose or withdrawal. It makes me wonder, why are doctors so liberal when it comes to prescribing these addictive drugs? Furthermore, why haven’t prescription opioids been banned yet? Like any good investigator, I decided to follow the money. “[Two] panelists work[ing] for the Center for Practical Bioethics, a Kansas City group which receives funding from multiple drugmakers, including OxyContin-maker Purdue Pharma, which donated $100,000 in 2013. In some cases, doctors are motivated significantly by monetary gain. They transform their practices into “pill mills,” writing scripts for opioids for money without any oversight, risking their medical license and facing jail time. The increase in opioid prescribing is fueled by a multifaceted campaign underwritten by pharmaceutical companies. This campaign advertised minimized opioid risks and exaggerated the benefits of using opioids over the long term for chronic pain. It seemed like a win-win situation with cheap, effective care and people bought into the idea. For example, UnitedHealthcare, the nation’s largest health insurer, places morphine on its lowest-cost drug coverage tier with no prior permission required. Lyrica, a non-opioid, brand-name drug that treats nerve pain, is on its most expensive tier, and patients are required to try other drugs first. Leo Beletsky, an associate professor of Law and Health Sciences at Northeastern University, calls the health insurance system “one of the major causes of the crisis” because doctors are given incentives to use less expensive treatments that provide fast relief. It seems as if there is a common theme when it comes to this crisis…Money! For a fee as high as $35,000, IMMPACT promises to get drug company representatives into invitation-only meetings of government officials and academic leaders, where they can lobby NIH researchers and FDA officials one-on-one. The public and press are not allowed in these meetings, which date back to 2002. Both Purdue Pharma, the maker of OxyContin, and Janssen, the company which makes the opioids Duragesic and Nucynta, have acknowledged the value of IMMPACT. Also, industry-funded groups such as the Pain Care Forum, spent $740 million over a decade lobbying in Washington and state legislatures against limits on opioid prescribing and similar issues, according to the Center for Public Integrity. The pharmaceutical industry has about two lobbyists for every member of Congress. They spent $152 million influencing proposed legislation in 2016, according to the Center for Responsive Politics. Drug companies also contributed more than $20 million directly to political campaigns last year. About 60 percent went to Republican campaigns. Paul Ryan, the Speaker of the House of Representatives, was the single most significant beneficiary with donations from the industry totaling $228,670. Perhaps, the opioid problem could resolve if the leaders of our country looked beyond the lucrative donations from the big pharmaceutical companies and started paying attention to what the effects are on the citizens of this country. Until then its safe to say America, we have an opioid problem.